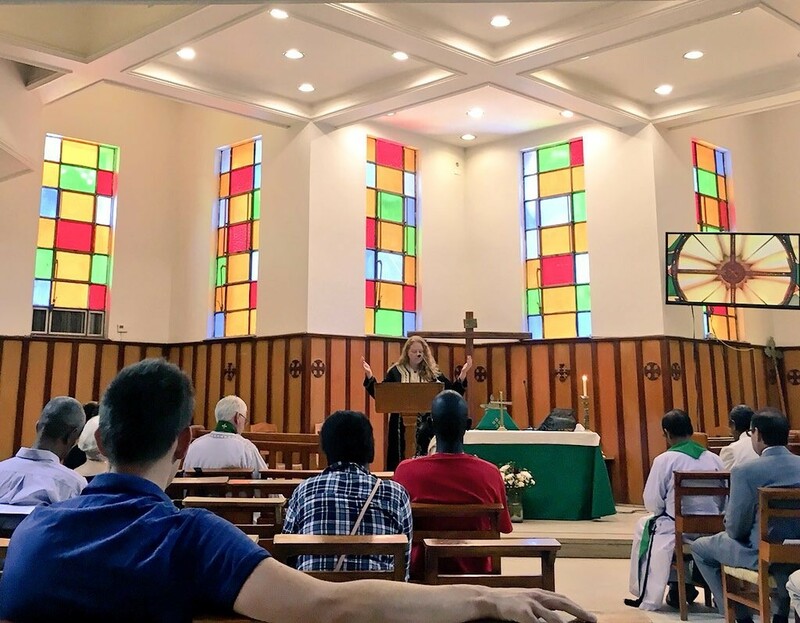 I received a UTO grant in January 2018 for my proposal “Pastoral Care to Refugees in the Arab World” and for work in the Diocese of Egypt, North Africa, and the Horn of Africa. This was a terrific surprise as it was not expected that I would be funded for work in a part of the Anglican Communion with views that are not 100% aligned with Episcopal views regarding women’s ordination, sexuality, etc. A happy surprise then to receive it! Knowing that the grant covered no travel expenses, I took a risk and planned travel on both ends of the project so that I could be relatively near Cairo, where I might be working. I arranged to volunteer with the Convocation of Episcopal Churches in Europe at St. Paul’s Within the Walls Episcopal Church in Rome. This in itself was a fantastic experience: getting to work with the Rev. Austin K. Rios and the Rev. Francisco Alberga at the Joel Nafuma Refugee Center. Why Egypt? I have always been fascinated with our world’s ancient history and had previously visited Egypt. I was curious what the Anglican church was like there compared to other locations in the Middle East. Via Twitter and then in person, I made a connection with Rev. Kerry Buttram, a priest at All Saints Anglican Cathedral in Cairo. He and his wife Cynthia are extremely active missionaries and dedicated loving people. I proposed to him my pastoral care project, other ideas, and my desire to learn about the diocese. After consultation with Bishop Mouneer Anis, he let me know that I was very welcomed. The Episcopal / Anglican Diocese of Egypt with North Africa and the Horn of Africa is a diocese within the Province of Jerusalem and the Middle East the worldwide Anglican Communion. It extends over eight countries including Algeria, Tunisia, Libya, Egypt, Ethiopia, Eritrea, Somalia, and Djibouti. 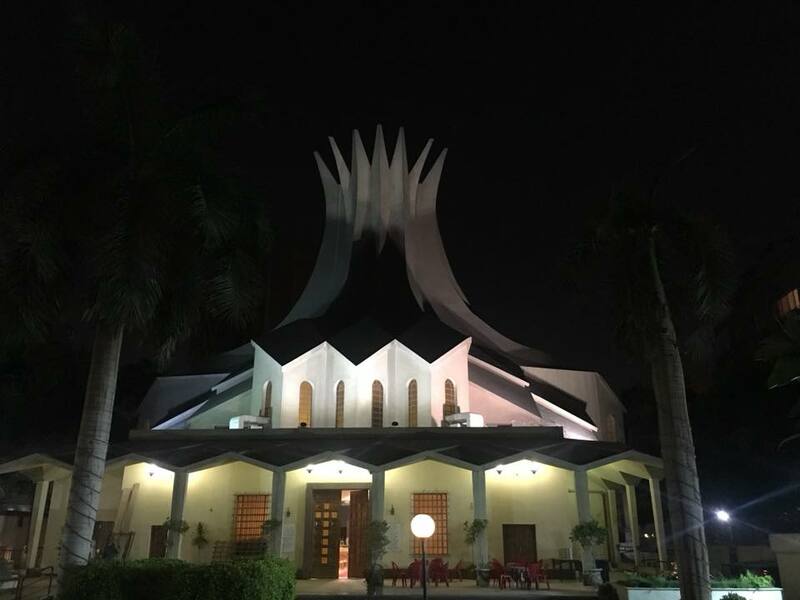 All Saints’ Cathedral, located in Cairo, is the spiritual hub and diocesan headquarters of about 100 congregations across Egypt. 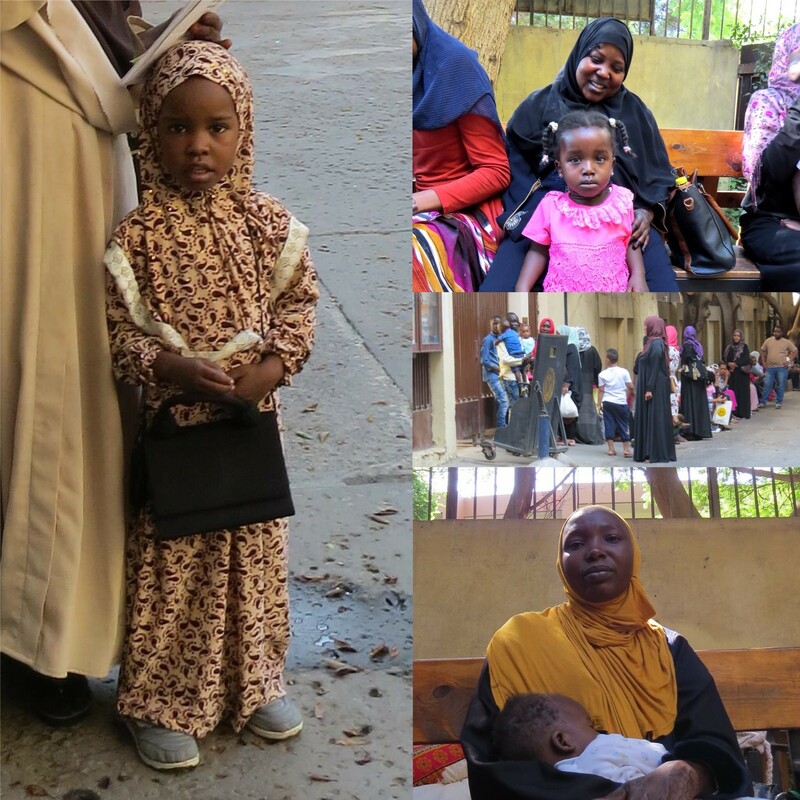 The diocese supports over 30 institutions which include hospitals, clinics, nurseries, schools, a theological seminary, micro-enterprise ventures, vocational training programs, as well as institutions for refugees, the deaf and the disabled. My goals were to continue learning and internalizing what it feels like to be a Christian in a place where one is the minority, discover untold stories of individuals seeking refugee status, learn about the UNHCR (United Nations High Council for Refugees) in this part of the world, and to be helpful in any way to Refuge Egypt, the diocese, and its cathedral. I certainly am blessed and honored that I truly did accomplish my goals and that I was greatly moved in the process. I grew spiritually, in my prayer life, and in my sense and philosophy of mission. I had a personal breakthrough in what it means to me to be an Anglican in the world. I got to know the Refuge Egypt organization, its staff, and many refugees who came through during the month. I sat with them and heard their stories about walking to the border of Sudan, crossing the country, and arriving in Cairo with children in tow. I heard tragedies of what it is like to live in the middle of a corrupt area with rebel factions stealing your land, house, food, and killing your friends or your wife. It was visceral, dramatic, and what millions experience along portions of their personal timelines as they migrate across vast lands to find shelter, begin a new life, renew hope, and attempt to preserve their heritage. Many arrive at the center while still in shock at being uprooted or in poor health at such lengthy travel with limited rations, if any. I had seen this shock in some of the refugees in Rome. It moves you. It demands your heart. It changes you. I worked with refugees in career training and helped teach English communications for interviews, meetings, etc. We had fun! I am still in touch with a few of them. I volunteered as a photographer at events and churches, reintroduced Taizé worship (planned and implemented several services), attended clergy meetings, explored outreach programs, and gave a workshop on wellbeing. 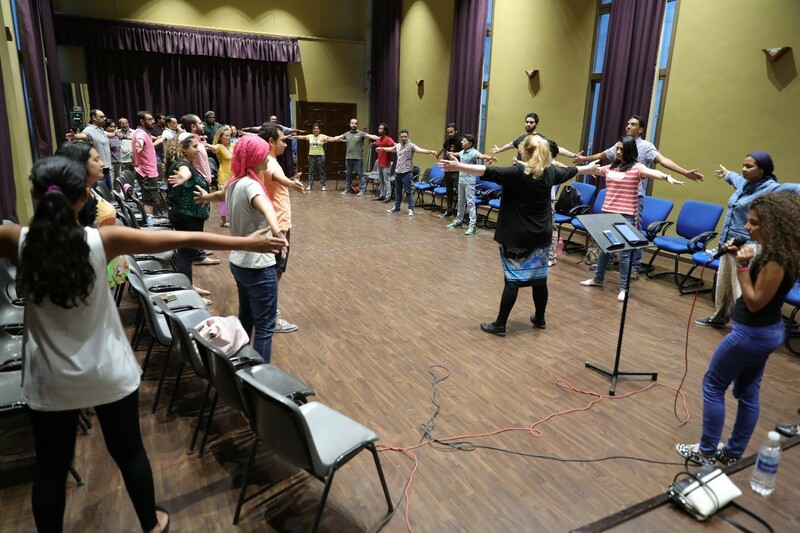 The workshop was hosted by the diocese’s Bridges Cultural program which aims to gather community members of Muslim and Christian faiths for sharing, learning, and social interactions. My workshop included music and movement, confidence-building exercises, healthy habits for personal wellbeing, and an introduction to types of meditation, purposes, and methods of each kind. I visited the Church of the Deaf in Coptic Cairo. 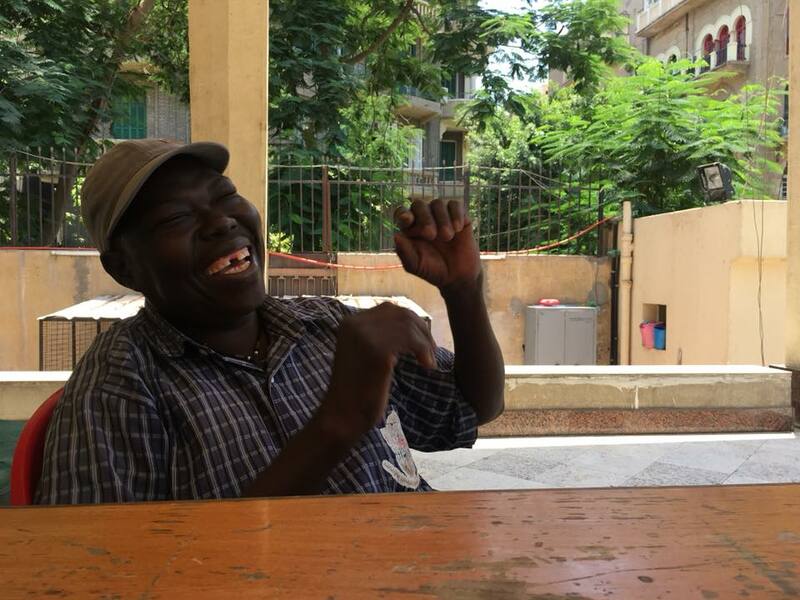 The Diocese of Egypt holds the only ordained deaf Anglican clergyman in the entire Middle East, Deacon Clement. He is joined by priests for each Eucharist. Clement is gregarious, kind, and loves his flock. As is the Coptic tradition of the neighborhood, the dress is formal and women and men sit in pews on separate sides of the aisle. Cairo has the majority, but a whopping 16% of Egypt’s population is hearing impaired The church hosts several programs during the week. What I noticed most about my visit was everyone’s over-the-top hospitality and their great senses of humor! Their laughter and smiles may or may not have been related to my attempts to mirror Egyptian sign language during corporate prayer. I was allowed to visit a major prison on the outskirts of Cairo while there. The Al Kanater prison houses both men and women, foreigners and Egyptians. That’s it. Just the housing and water. Prisoners must band together and/or hope for visits from friends, relatives, churches, and other organizations for food, cooking implements, and oil. I can attest to extremely poor conditions, bags of food skimmed by those in charge, and money bribes taken for the guard gate to be opened to those who did not (or could not) wait outside in the heat for hours (as we did) to see the prisoners. Some guards taunt visitors and make empty threats. I have met the prisoners, heard their stories, prayed with and for them, and provided a non-judgmental presence. The Diocese provides regular visitation and food support to some of the prisoners. They are doing God’s work. Some other things of interest I got to do included: visit a refugee training center in 6 October City, visit Harpur Memorial Hospital in Sadat City, and visit the Coptic Orthodox Cathedral complex including the Institute for Coptic Studies. This is where I also bought my first alb, in the beautiful Coptic traditional style. 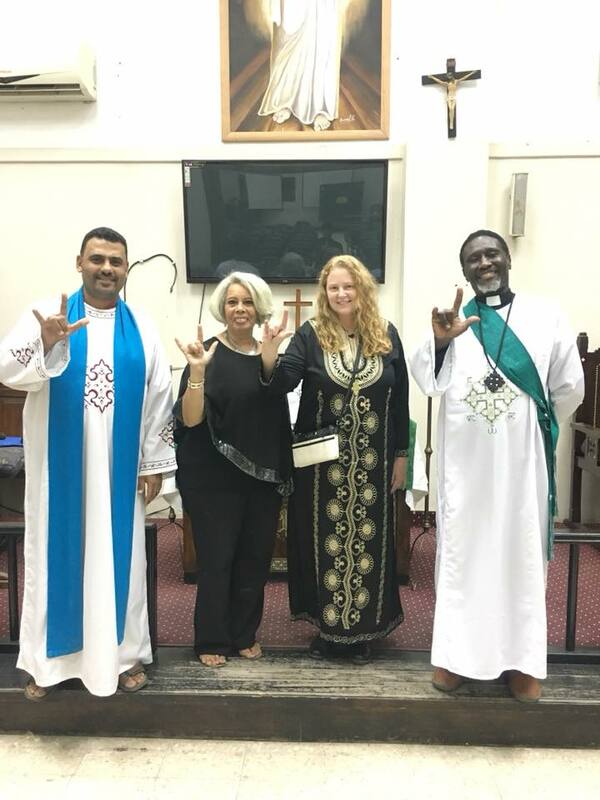 I visited the Zabbaleen community, known widely as “Trash City”, spent two days in spiritual retreat at Anafora Coptic retreat (link below) in the Wadi al Nitrun, and visited St. Mark’s Anglican Church and the great Library in Alexandria. As a parish priest, I hope to incorporate my experiences into ministry with all people and into being a resource for those seeking a spiritual home or considering various areas of mission, domestic or foreign. I hope to be a resource and teach about mission and pilgrimage. Our mission as a Church includes compassion, justice, and reconciliation, and in order to fulfill that mission and truly know what it means, we need active relationships with others who are different from ourselves. I would personally love to further explore and synthesize ideas in pneumatological missiology as it presents itself across the Anglican Communion, seeking the manifestation and the presence of the Holy Spirit on a global level through the lenses of both liturgy and hospitality. I see my future ministry as multi-faceted. I have high energy, humor, and creativity – and I hope to be an asset to my future church in pastoral care and enthusiastic ministry, to this diocese in mission, liturgy, & music, and to the advancement of global partnerships and interfaith relations in The Episcopal Church and Anglican Communion.